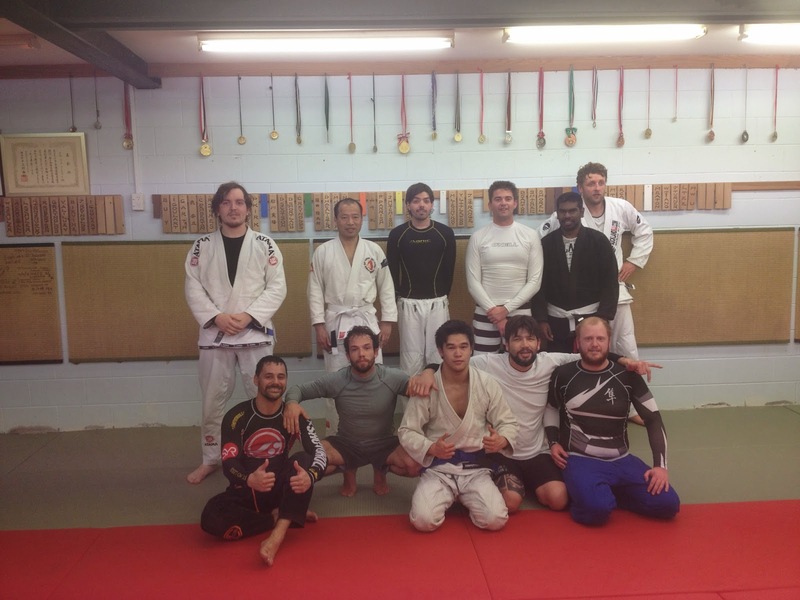 Auckland BJJ: BJJ Training Report: First NOGI class for the season! BJJ Training Report: First NOGI class for the season! The next competition is on 9th Novembers 2014: New Zealand Gappler Nationals. We are now training nogi every thursday night to prepare the competitors. Also, training without the gi is good as you can start relying on gi grips too often. We conclude our warm up - series of drill to win: scissor sweep, triangle, bullfighter guard pass, leg drag guard pass. We had to modify the techniques to adapt to nogi grips. The Topic of the day was bottom 1/2 guard. we went over what consist a good defense for bottom sweeps and 3 sweeps. Also, Serge did an introduction to the leg locks game: Knee Bar and Toe Hold! The drills to win for the next 2 weeks will be based on guard retention. Labels: BJJ Training Report: First NOGI class for the season!